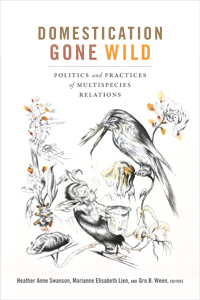 We are pleased to announce that former CAS project leader Marianne Lien and CAS fellows Heather Swanson and Gro Ween have published a new edited collection Domestication Gone Wild: Politics and Practices of Multispecies Relations, which offers a revisionary exploration of domestication as a narrative, ideal, and practice that reveals how our relations with animals and plants are intertwined with the politics of human difference. The book is a result of the CAS project Arctic Domestication in the Anthropocene, and the research group on Domestication as part of the project Anthropos and the Material at the Department of Social Anthropology, University of Oslo. Donna J. Haraway, author of Staying with the Trouble: Making Kin in the Chthulucene.